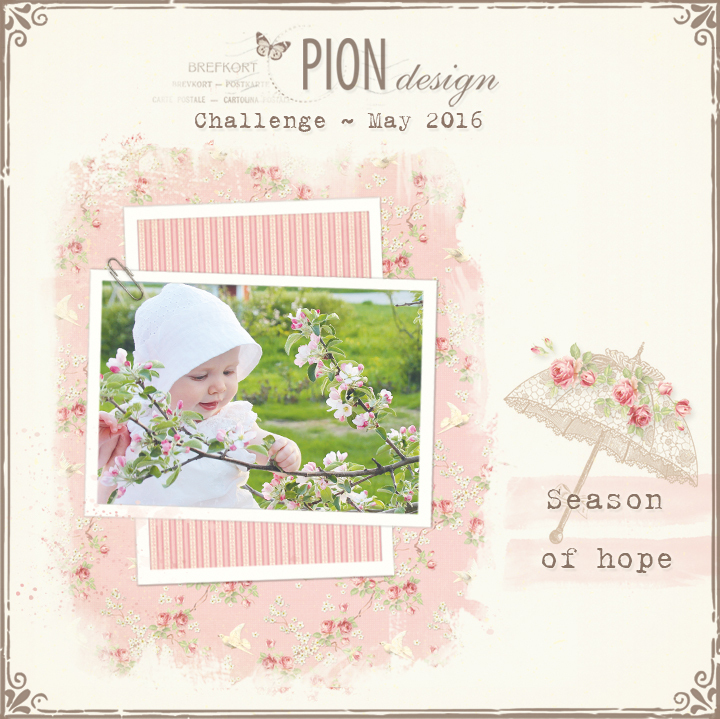 Now it’s your turn to show us your Pion Design crafting projects! Create any project inspired by the theme, photo and/or colors using mainly Pion Design papers from any Pion collection. ♥ Include our Challenge image shown above in your blog post. ♥ Use InLinkz to upload your entry here in the Pion blog and please link directly to your blog post. Our challenge is open for entries until May 27. By the end of the month we will announce a lucky winner who get to choose a complete Pion Design collection in 12″ and 6″. Looking forward to seeing your Pion Design projects!